The haredi infantry battalion Netzah Yehuda in the Kfir Brigade may undergo dramatic changes next year, which will see the duration of military service extended from two to three years, similarly to other combat positions in the IDF. The plan, which was initiated following increasing demands by the haredi soldiers, proposes to add a third year of service that will be dedicated to the completion of matriculation exams, along with routine combat training and operations. Kfir Brigade Commander Colonel Udi Ben Mucha is expected to present the plan to the higher echelons at the Central Command and Manpower Directorate in the near future. Nowadays, haredi fighters serve in the army for two years, and later enroll in a vocational school, where they acquire a trade and complete their matriculation exams. As part of the new program, classrooms will be set up at battalion posts, where soldiers would be able to study in between operational duties. Officials in the Kfir Brigade said the program was inspired by President Shimon Peres' vision, by which every IDF combat soldier will complete three years of military service during which he or she will also study toward a bachelor's degree. 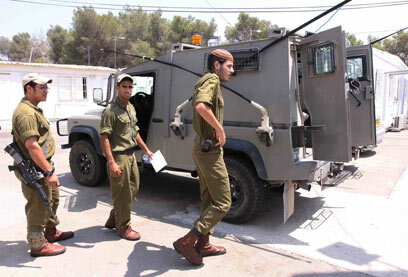 The program was already successfully implemented in the Bedouin patrol unit as well as other frameworks in the IDF. The Netzah Yehuda Battalion recorded another achievement this year, with seven of its combat fighters joining the prestigious officers' course – a record number since the establishment of the battalion 11 years ago. The highest ranking haredi officer currently serves as a company commander in one of the brigade's combat units operating in the Jenin sector. In addition, two deputy company commanders are slated to go on a commanders' course in the upcoming days. According to the Manpower Directorate, some 450 haredi combat soldiers joined the battalion in 2011, and an additional 650 haredim were recruited to other IDF positions. The Directorate estimated that the numbers will continue to grow, reaching some 2,400 new haredi recruits in 2015. See all talkbacks "Haredi combat soldiers seek to serve 3 years"